When Tim Cook stood on stage last month to introduce Apple Pay, the typically reserved chief executive could barely contain his excitement. A video plays with a woman in a shoe store. She pulls out her shiny new iPhone 6, places her finger on the Touch ID sensor, taps it on the NFC receiver, and walks out with her purchase. "That’s it!" Cook exclaims. "That’s it!" Cook’s reaction was over the top, of course -- which some of us argue is modus operandi for any Apple keynote -- but it certainly signals the promise of NFC and is an example of how Apple Pay will streamline and advance mobile payments from here on out. Is it really as simple as it looks? I can tell you it is. Following the release of Apple Pay with iOS 8.1 on Monday, I set out to test it on the vending machines at work. Indeed, it's as simple as the demo showed. All you need to do is pull up Passbook, tap the card you’d like to use, put your thumb on the Touch ID button and place it near the receiver. 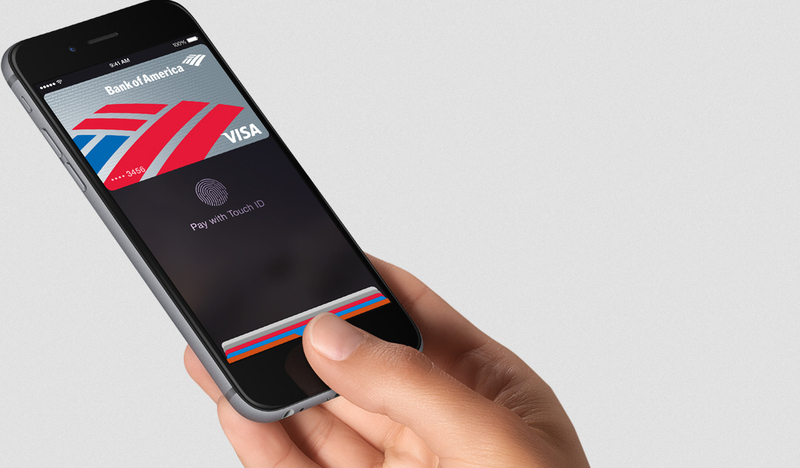 What wasn’t shown in the keynote is how easy it is to get the credit card into Apple Pay. As long as you’re a member one of the six launch banks, you are ready to go. All you need to do is take a photo of the card and enter the expiration date and security code. Apple does the rest, and guides you through the process. Don’t have an account with these folks? You don’t have long to wait. Visa has a list of more than 440 banks and credit unions which I am told will add support "within a matter of weeks". MasterCard told me it has already signed "hundreds" of its issuing partners to deals to support Apple Pay in the coming months. There are about 6,800 FDIC insured banks in the US, and viably as many as a fifth of them could support Apple Pay by the end of this year. Considering that the five biggest banks attract two out of every five deposits made, Apple’s potential market reach could reach well over half of all bank account holders in short order. Apple already signed four of the top five banks with its initial rollout, which comprised 35 percent of all deposits made last year. The addition of what appears to be well over a thousand banks from what we’re being told could easily double that reach. That’s a large chunk of change ready to be spent through Apple Pay. With this clout, it’s little surprise then why some retailers are more than happy to accept Apple Pay in their stores. The only commitment is to contactless payments and NFC technology, with none to Apple. Better yet, use of a standard technology will benefit not only Apple customers, but those using other offerings, such as Google Wallet. It may seem anti-Apple to not exert control over the entire system, but the chief reason for such fast uptake may be this fact alone. Nobody expects this to stay that way for long, though. Apple appears primed to leverage its soon-to-be clout in mobile payments by offering its "iBeacon" service as an option to generate consumer loyalty, reports indicate. Imagine walking into a store, and your iPhone buzzes with an alert for an exclusive sale if you pay with Apple Pay. That appears to be in the works, and will not only drive business for the retailers who use it, but adoption and most importantly consistent use of Apple Pay itself. That is one thing that any contactless payment solution is missing and many have tried. In the end regardless of what mobile technology you subscribe to, we all may have Apple to thank for finally making contactless payments a viable alternative.